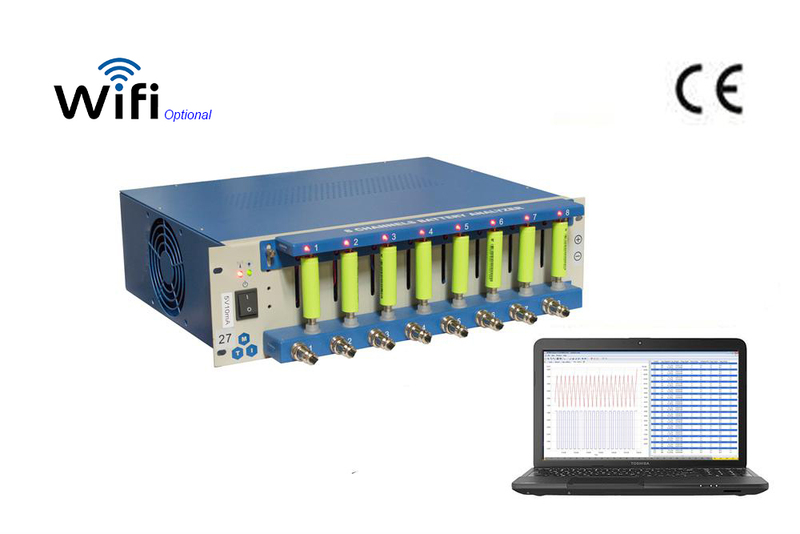 BST8-3 is an eight-channel battery analyzer to analyze small coin cells and cylindrical batteries from 6.0 mA to 3000 mA, up to 5V. 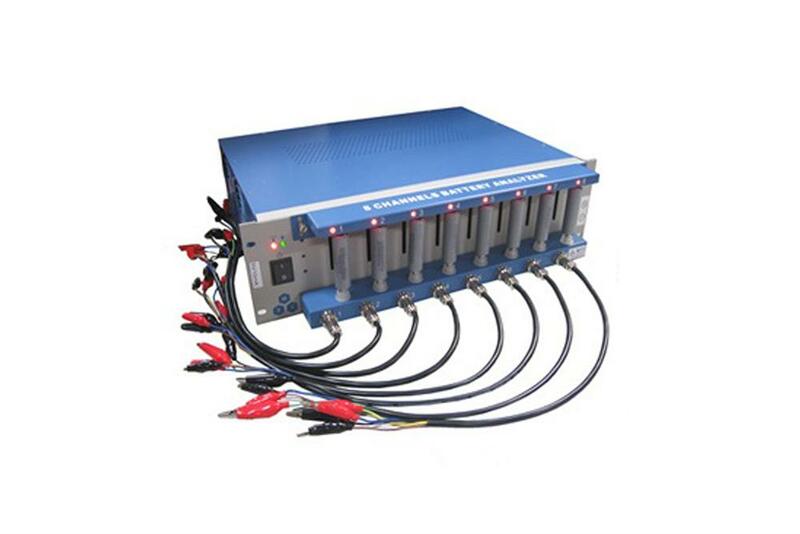 Each channel of the analyzer has independent constant-current and constant-voltage source, which can be programmed and controlled by computer software. 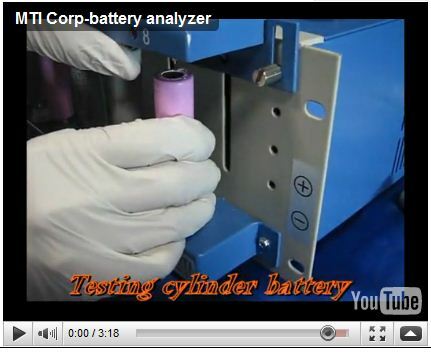 This system provides most applications in battery testing fields such as electrode materials research, battery performance test, small-scale battery formation, capability grading, battery pack testing and etc. The purchase comes with a brand new laptop with Microsoft Windows 10 with 30 days free trial Microsoft Excel and the latest version of controller software installed and calibrated for immediate use. 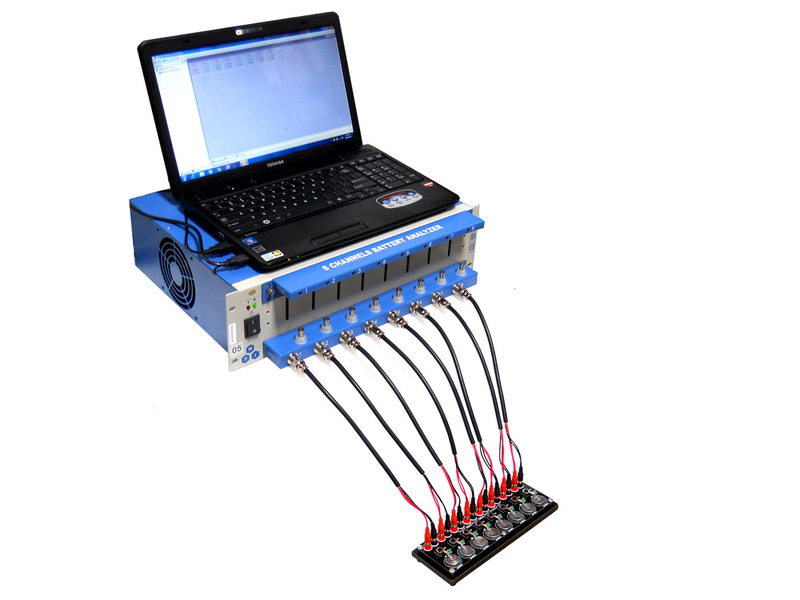 (Up to 20 sets of analyzers can be simultaneously controlled by one PC). 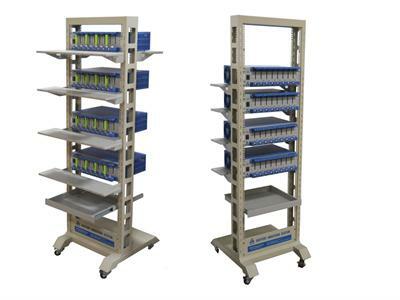 Working modes Include constant current discharge, constant current charge, constant voltage charge, constant resistance discharge, rest, cycles, etc. 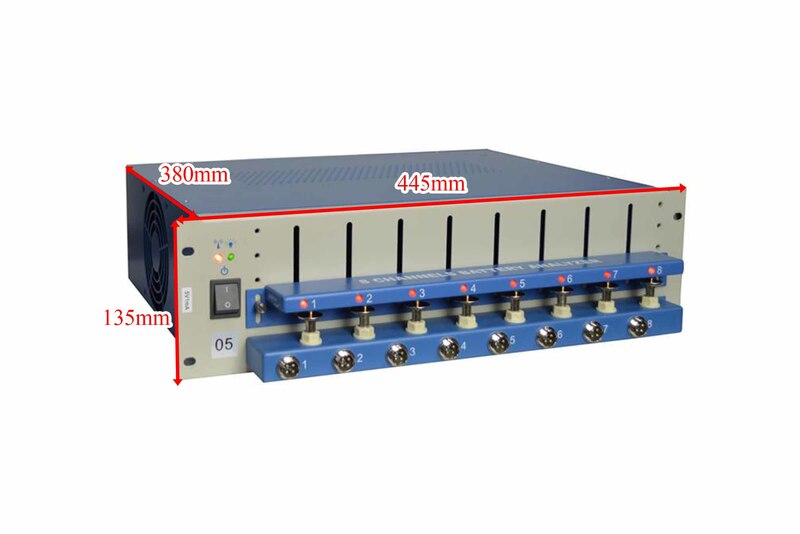 Limited threshold conditions include voltage, current, time, capacity, negative voltage slope, etc. Up to 20 sets of analyzers can be simultaneously controlled by one PC. Notice: It is suggested to use an external hard drive to keep an instant backup of the collected data. 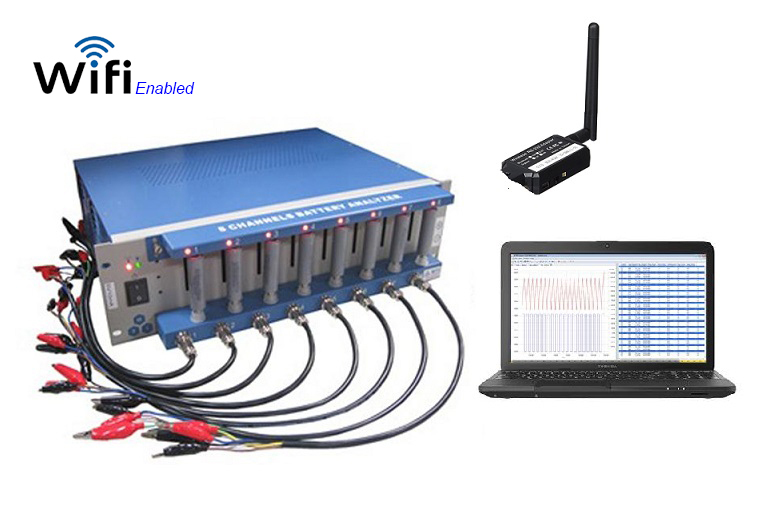 The customer can easily combine up to 20 battery analyzers (0.002-1mA, 0.1-10mA, 6mA-3000mA) by using normal Ethernet cable connector via one computer. 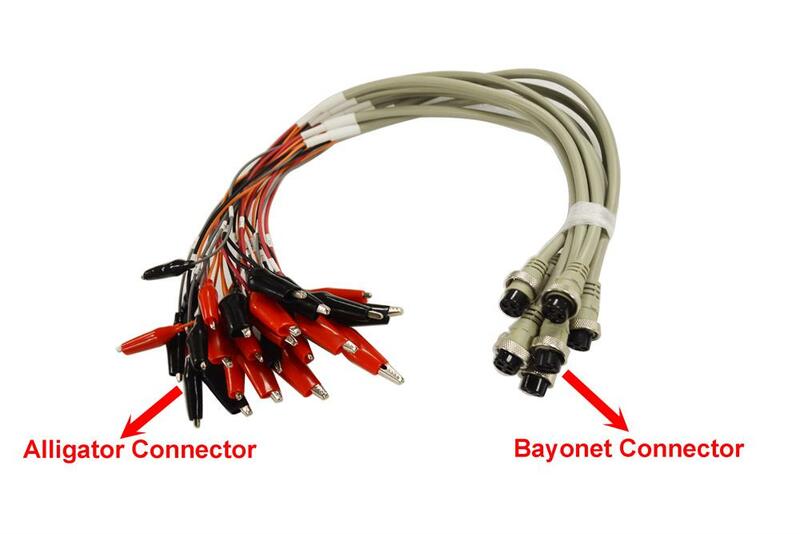 Optional Connector/Adaptor are available upon request.